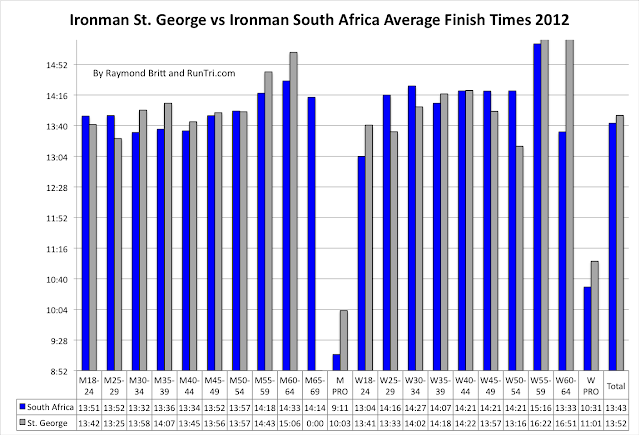 With a record-breaking 29% DNF (started but did not finish) rate (compared to 19% in 2011), Ironman St. George remains at the top of RunTri's Toughest Ironman Course list (though Ironman South Africa's conditions and 13:43 time rivaled St. G this year). Of the 1432 starters, only 1024 finished. 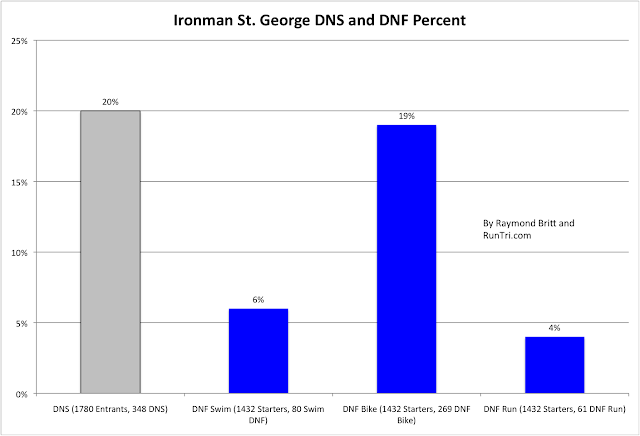 The frustratingly choppy water forced 6% of starters to DNF; wind gusts up to 40 mph forced another 19% to DNF, and finally, another 4% did not complete the run. 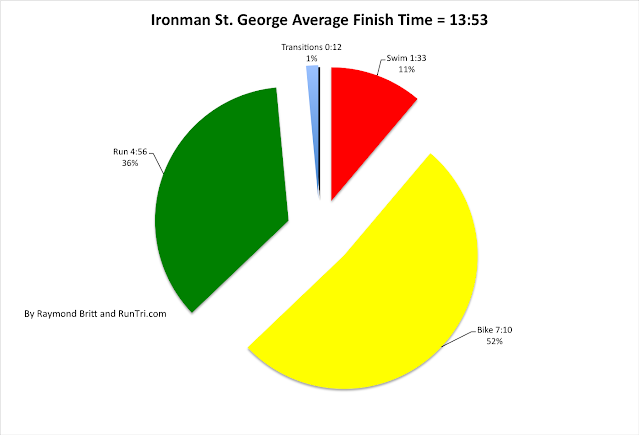 Those who did cross the finish line did so in an average of nearly 14 hours. 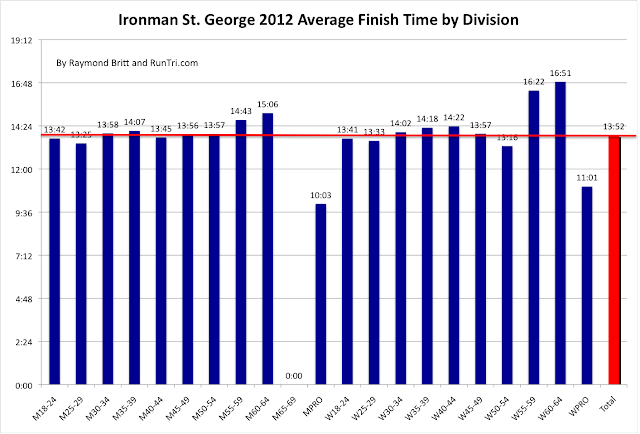 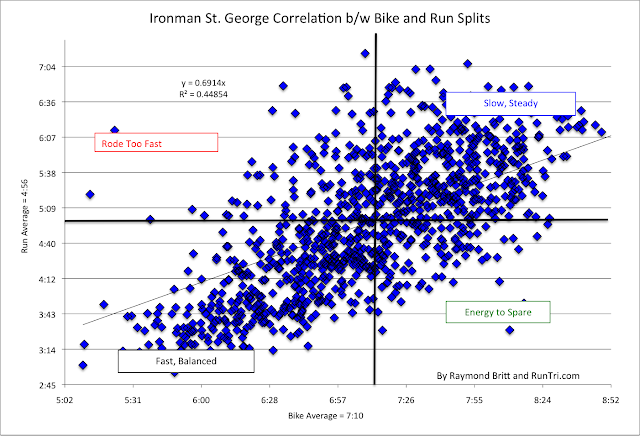 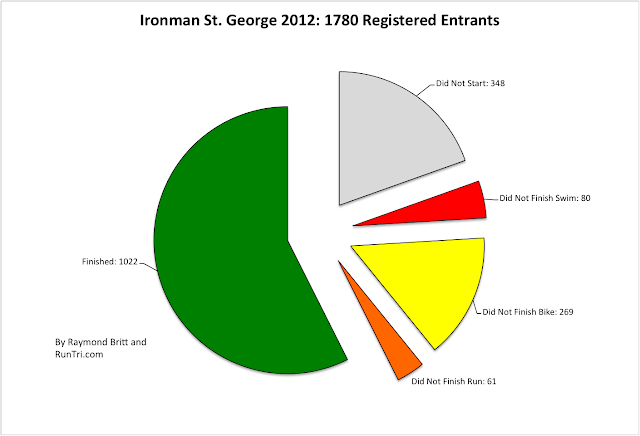 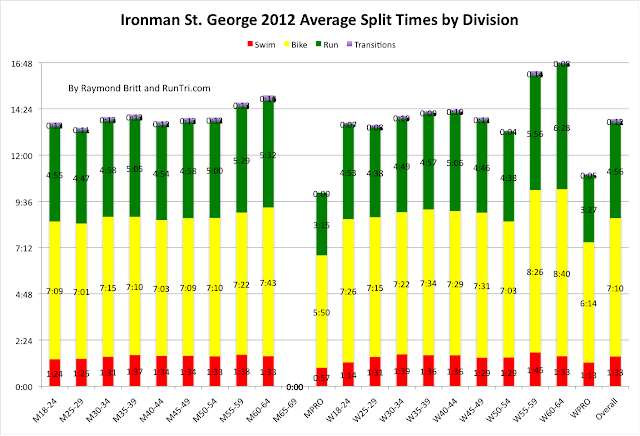 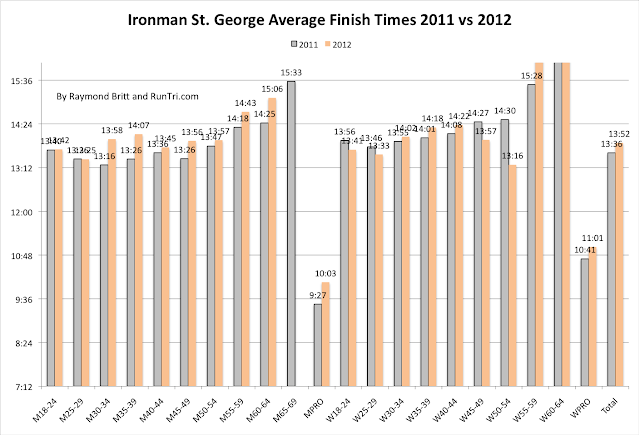 At 13:52:55 average finish time, St. George 2012 was 16 minutes slower than in 2011.